Before trying any new diet, it’s important to learn about its origins. It’s wise to follow diets derived from years of research and study rather than diets that come for their 15 minutes of fame, only to be surpassed by another diet. However, there is a diet that’s has a strong backing behind it, the Mayo Clinic Diet. Doctors, researchers, and medical experts all came together to develop the Mayo Clinic Diet. The Mayo Clinic, founded in 1863, has treated over 6 million people, has over 55,000 health care professional, and consists of three clinics and four hospitals. When the professionals banded together to address the unhealthy patterns of people, they established the Mayo Clinic Diet. The Mayo Clinic Diet’s primary goal is to get people back on track by encouraging them to change their eating habits, get physical, and permanently adopt a lifestyle change. In this article, you will find how you can change your lifestyle for the better. How you can refocus yourself to lose weight? With so many diets out there, finding the right one is a difficult choice especially for people struggling to lose weight and adopt a healthy lifestyle. It’s true that numerous of you by now would have tried various kinds of fad diets, but unfortunately, the results weren’t what you expected. Frustrated and exhausted you probably put your foot down, put your hands up in defeat, and reached for a bag of chips to console you. If you are at the brink of doing this, don’t because there is a diet out there that is guaranteed to work, but only if you put your mind to it. We are talking about the Mayo Clinic Diet. Mayo Clinic Diet isn’t just a weight loss program, it is a program designed to change your lifestyle. Unlike other diet programs that just focus on losing weight, the Mayo Clinic Diet focuses on lasting weight loss and most importantly, your overall health. What else can you expect from a diet designed by Mayo Clinic health experts? Health experts didn’t want to design a plan that told people what they can and cannot eat, but wanted to provide them with a lifetime approach to maintaining a healthy lifestyle. By following this pyramid, people will learn effective ways to lose weight, eating healthy portions, and adopting healthy habits. Furthermore, healthy lifestyle changes will influence and improve prior illness such as diabetes, sleep apnea, high blood pressure, and diabetes, just to name a few. So, are you ready to change your lifestyle? 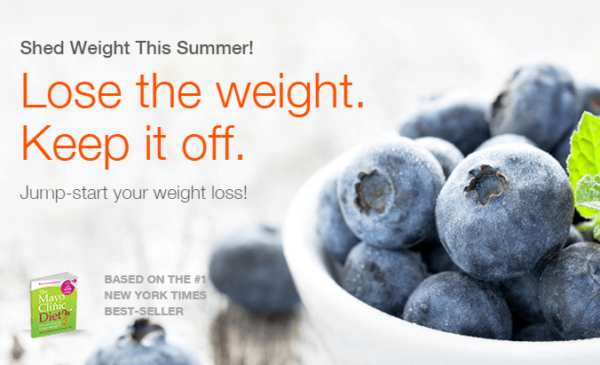 Are you ready to take the Mayo Clinic Diet challenge? If you are putting on your running shoes and throwing the junk food away, you are ready! This guide will assist you in your journey and help transform you into a new, healthy person. After dabbling in more than a thousand diets and seeing no results may have putt you off from dieting altogether. However, giving up isn’t an option with the Mayo Clinic Diet, as this diet will surely surprise you, letting you witness the transformation as it takes place. In fact, this diet has already worked miracles for some and it can do the same for you if you encourage yourself to give it one last shot. Are you going through some serious problems in your life such as divorce, unemployment, or some other type of stress? 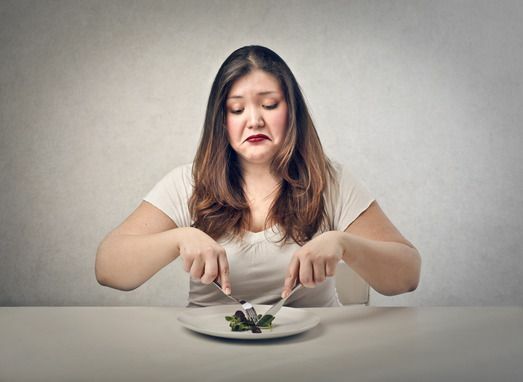 If your life is a mess, then you’re likely to fail at this diet or any other diet for that fact, as you will be more prone to emotional eating. When you think it’s the right time to follow a diet plan, go for it. Before you begin any weight loss program, go see a doctor especially if you have an illness (diabetes, heart disease, asthma, arthritis, or are expecting). Friends and family will be your biggest motivators who will help you keep on the weight loss track. Write down your current weight and continue to write it down each month. In fact, take your body measurements and write down those. Looking at the progress you made will encourage you to maintain this lifestyle for the rest of your life. The Mayo Clinic diet consists of two choices, which we will discuss later in detail. Stage 1 talks about losing six to ten pounds in two weeks while stage 2 talks about losing one to two pounds per week. Few days before the starting dates, stock your pantry with healthy food mentioned in this guide. Purchase a notebook to track your progress and focus your energy towards exercising daily. You are the only person that can truly motivate you to get up off the couch, suppress your temptations, and prepare your body and your life to undergo a pleasant change. In order to make the transition successfully, adjusting your lifestyle habits and letting go off some is necessary. Don’t leave the house with an empty stomach. Eating breakfast prevents people from overeating during the day. Recommended food to eat is low-fat milk, egg, fat-free yogurt, seeds, nuts, whole-grain toast or cereal, and fruit. Incorporate fruits and veggies into your diet. Try to eat at least two servings of fruits and four servings of veggies each day. If you’re feeling extremely hungry, veggies and fruits are amazing snacks, as they contain fewer calories. Grains contain generous amounts of vitamins, fiber, and minerals and make you feel full instantly. Remember not to buy processed grains, but only whole grains. Recommended food to eat is brown rice, whole-grain food, and barley. Fats such as polyunsaturated and monounsaturated are considered as the healthiest form of fats. Fats to avoid at all costs are trans fats. However, fats, no matter how healthy, are all high in calories. Therefore, use them sparingly to cook food. Recommended fats to buy are nut butters, avocado, or the most popular, vegetable or olive oil. 4.Get Up and Go, Go, Go! Make time for at least 30 minutes of physical activity. You don’t have to go to the gym, instead you can exercise at home. Don’t have to lift weights or exercise to a video either, instead you can do daily chores, putting some effort into them or when going out, park far from the store entrance and choose the option of taking the stairs than escalator or lift, if applicable. Throughout your life, starchy and sugary snacks greatly influenced your eating habits. Giving them up seemed like an impossible challenge, but that was before Mayo Clinic Diet came on the scene. This revolutionary diet in stage one taught you some important lessons to make part of your life. In stage two, we are going to take those lessons and put them to good use. Now, you’re going to set a realistic weight loss target, work to lose it, and stick to it. If you set hard-to-reach weight loss goals, you’ll lose the spirit and drive to keep going. Therefore, set achievable weight loss goals. For instance, your aim is to lose 20 pounds within a month. However, depending on your level of physical activity and diet, you manage to lose just 10 pounds. You not only failed to reach your weight loss goal, but you also lost your motivation. Instead, set a realistic goal that you have the capability to reach. How Much Weight Do You Want to Shed? Although you may have a specific goal in mind, the most efficient way to determine the pounds you need to shed is to refer to the BMI. 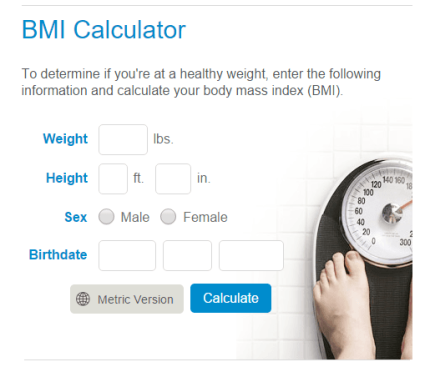 BMI stands for body mass index and people use it to determine if they are in the healthy weight range or not. However, BMI isn’t perfect, as physically fit people with more muscle rank high in the chart. In your case, it’s different because looking up the BMI will give you an idea on what your weight loss target needs to be. Therefore, along with the BMI, determine a realistic weight loss target and get moving. At the start of the day, you think, “I will clean the house today,” or “I will take the dog out for a long walk.” When the time arrives to put the thought to action, you’re tired, and postpone the idea for tomorrow. If the cycle continues, you’ll be one-step behind your weight-loss target. In order to meet your goal towards the end of the month, motivate yourself continuously. Keep telling yourself that, “Today, I will go to the park after work” or “I am going to take the stairs instead of the elevator each day.” The moment you slump down on the couch, you’ll be too lazy to get up and go. Therefore, remember to not think it, but actually do it. Be Specific– draw up a plan that mentions your weight loss target, ways to accomplish it (exercise and diet patterns), and how many months or weeks it will take you to attain it. Measure it– each day come up with a different goal to accomplish such as jogging in the park for three miles or losing 10 pounds over the next two months. Write down the goal into your weight loss diary to measure it. This way you’ll know whether you’re close to reaching your target or not. Be Reasonable– never set a goal that you can’t achieve. Evaluate your schedule and see how much exercise you can incorporate in a day. Be Relevant– set a goal based on your motivations, values, and preferences. For instance, if you don’t like going to the gym, don’t. Exercise at home using videos or perform extra chores around the house. Set a Date– Knowing yourself, you know your capabilities and have a sense of when you can reach your goal. Therefore, set a date or series of dates that you see yourself achieving your weight loss goal. Additionally, start by setting smaller goals, gradually moving to bigger ones. How do you spend your time? Is it outdoors, indoors, with groups of people, or alone? Plan your goals or activity according to your preferences. Go for a hike if you love the outdoors; attend a zumba class if you like being around people, or exercise indoors on your treadmill. If you plan a goal for yourself that you don’t enjoy, your motivation will dwindle. In addition to your physical activity, make goals regarding your eating habits. If you used to eat chocolate as a midnight snack, switch to herbal tea or a low calorie snack. From top to bottom, there are sweets, fats, proteins/dairy, carbohydrates, fruits, and vegetables combined with physical activity. To maintain a well-balanced lifestyle, you’re required to eat a meal that includes these food groups. For instance, porridge for breakfast is a healthy, nonfattening, and nutritious meal packed into one dish. Furthermore, include fruits, fresh salads, non-fat yogurt, and other delicious and low in calorie meals into your day. Most importantly, don’t forget to get proper amounts of exercise to fasten the weight loss process. Additionally, take time out to understand the food pyramid. Eat Healthy Food– Processed food is bad for you, avoid it. Frozen food such as veggies and fruits, on the other hand, contain many nutrients. Count Servings– Dips, dressings, creams, milk, and sugar are all toppings that we out on food. When writing down the servings, include them as well. Be Healthy, not Strict– Although it’s better that you eat food that’s healthy, you can’t deprive yourself of certain food for longer periods of time. You like chocolate, substitute for dark chocolate instead. You like chips, eat baked chips then. The key is to make healthier choices. Seek Shortcuts– Purchase pre-cut fruits and vegetables, shredded low-fat cheese, and precooked meats. This will enable you to cook up a healthy meal within seconds. Eat something different each day– You may not want to eat veggies or fruits each day, so try to switch it up. You can find healthy recipes online to create at home. After you have figured out your calories goal, figure out the number of servings you need to eat from each food group. Eat according to your weight loss goal so you don’t gain weight. You can find sites or books that outline the serving size of a particular food. You won’t always have to carry a guide with you, but looking at the amount of food on a plate will tell you the appropriateness of the serving size. It’s easy to figure out the serving size when you’re at home since it’s written on the food label. However, when you’re at a restaurant, figuring the serving size isn’t as easy. If you’re at a restaurant, order a salad, steamed fish, or grilled chicken. Moreover, order an appetizer since it’s serving size is less. If you’re in the mood for dessert, share it with others on the table. If the platter you ordered is large, eat some and take some home to eat the next day. Water– Majority of vegetables and fruits contain a significant amount of water, providing the food with weight and volume e.g. grapefruit contains 90% water and 50% calories. Fiber– Another thing that food and veggies both contain is fiber. Eating food rich in fiber helps keeps you feeling full for a longer time. It’s recommended that you increase your fiber intake along with your water intake. Food to Avoid– Desserts and candies are high-density food, which means that even a small serving of it contains many calories. Plan the Menu– Sit down every Sunday to come up with a meal plan to follow for each week. It will save you time, as you won’t be wandering what to make each day. Tis’ the Season to be Healthy– Each season an array of fresh veggies and fruits are available. Visit your local farmer’s market to stock your fridge with fresh veggies and fruits available that season. Try Something New– Quinoa, bok choy, tofu are all exotic food that are healthy. Try to eat something new once in a while and it might just become your favorite dish. Always Choose Health– You should get in the habit to read the labels on the food. Look for calories, sodium, and fat. Introduce healthy food into your life such as instant brown rice and frozen entrees. Save Leftovers– When you make food, make it enough that it lasts for two days at least. Make 20 Minute Healthy Recipes– Search for recipes that are nutritious and take the least amount of time to make. You know it; we know it that the quickest route to a healthier lifestyle is to make exercise part of your lifestyle. Even the tiniest bit of physical activity goes a long way. The Mayo Clinic Diet advocates a complete lifestyle change, as it believes that a healthier lifestyle includes two important things, nutritious choices and moderate amounts of exercise. Choose an exercise routine that you won’t get bored with easily. However, if you’re new to exercise, you have to go slow and steady to introduce your body to physical activity and prepare itself to work harder. When people make up their mind to lose weight, they immediately amp up their exercise routine followed by a period of inactivity. Since their rigorous exercise routine leaves them exhausted to the point that they can’t even move an inch. Instead, they should gradually increase the time, intensity, and frequency of the exercise. Slow and Steady wins the Race– In the beginning, workout for 30 minutes or five days a week. Dress Comfortably­– Dress for the weather, wear clothes that you feel comfortable in, and wear shoes that are your size. Always Warm up– Warm up by doing stretches or walking in place for five minutes to prevent the risk of injury. Stand up Tall and Straight– Put your arms to your side, hold your head high, pull in your stomach muscles, and keep your feet aligned to the width of your shoulders. Spice up Your Exercise– Listen to music while you exercise. If you like to walk or run on the treadmill, position it in front of the TV. Moreover, call up your friends or family to join you. It’s up to you how you view exercise. If you view it with a negative attitude, you’ll give up, but if you view it with a positive attitude, you’ll succeed. Change your mind set about exercise being boring and uneventful. Instead, focus on exercise being something you look forward to doing in the day. According to this, the person is talkative, likes people, and loves to dance. However, going to the gym, doing boring things, and going outside is out of the question. Anytime you attempt to do something that you don’t love, stop. Also stop, if you feel you’re bored of your exercise routine, even if you love doing it, try something new. After you have picked the exercise that interests you, prepare yourself to face the toughest challenge to stick to it and follow it through. You have to stick to being healthy by changing the unhealthy habits you adopted in your lifetime. You have to prove to yourself that you’re capable of changing, can adopt a healthy lifestyle, and stick to it. Most importantly, you have to suppress that little voice that keeps telling you to quit and give up. Moreover, you need to build a support system around you to encourage you to keep going. Lastly, understand that you’re human and you’ll have days where you cheat on your health so don’t beat yourself over it. Instead, start stronger the next day. Are you ready to take the step towards health and fitness? Are you ready to take the plunge into the world of the Mayo Clinic Diet? If you’re prepared to turn your life around and transform yourself into a new and healthy person, you’re ready for the Mayo Clinic Diet. This diet will provide you with a new outlook on life. You will feel more alive and energetic after you invite this diet into your life. The Mayo Clinic Diet has established a diet system that doesn’t deprive people of food, but teaches people the importance of making the right choices regarding their health. What’s great about this diet is that it’s not temporary, the diet is manufactured to last a lifetime. You can follow the teachings of the Mayo Clinic Food Pyramid and encourage your family to pursue it as well. Always remember that the Mayo Clinic Diet is not just a diet, it’s a lifestyle change. What are you waiting for; make a pledge to the Mayo Clinic Diet now and start moving into the right direction.